Heart failure is a common complication of heart disease in dogs. Though canine heart disease includes many different types of conditions, all forms of heart disease can ultimately cause heart failure. Heart attacks in dogs and cats are rare, but their hearts function similarly to human hearts. The technical term for a heart attack is myocardial infarction, and this occurs when blood flow to the heart wall (the myocardium) is blocked. Dogs are less likely to suffer heart attacks than humans, but many of the same risk factors are involved: If a dog is obese, has diabetes, or contracts a serious bacterial infection, it may be at a greater risk of a heart attack. If you suspect your dog is having a heart attack, bring it to the vet as soon as possible. There is a version of CPR that can be performed on a dog, but it requires special training to do it correctly. Don't attempt it if you're not trained; you could further injure your dog and waste precious minutes when you could be getting it to the vet's office. Heart disease in dogs may take on two different forms. Left-sided heart failure occurs when the pumping mechanism on the left side of the heart fails. In this instance, the blood returning from the lungs to the heart backs up and fluid accumulates in the lungs. In some dogs, both sides of the heart are involved. This may lead to failure of both the left and ride side of the heart and result in signs of both right- and left-sided heart failure occurring simultaneously. Dogs with heart disease may be asymptomatic (free of any signs of illness) if the heart disease is mild enough to allow the heart and the rest of the body to compensate for the disease. However, if the heart disease is severe enough that the heart cannot compensate for the disease, heart failure will occur and will lead to signs of heart failure. Cyanosis (a bluish coloration of the gums) may occur if blood circulation is poor and is an indication of inadequate amounts of oxygen reaching the body. Other signs that may occur with heart failure include vomiting, diarrhea, or constipation as a result of poor blood circulation reaching the liver and intestines. Heart diseases that cause arrhythmias (irregular heartbeats) may cause fainting episodes which are also known as syncope. Coughing is often the first sign of canine heart disease and is the most frequent reason dog owners bring their dog to the veterinarian. Since heart attacks in dogs are so rare, your veterinarian will probably run several tests to determine what's causing your pet's symptoms. 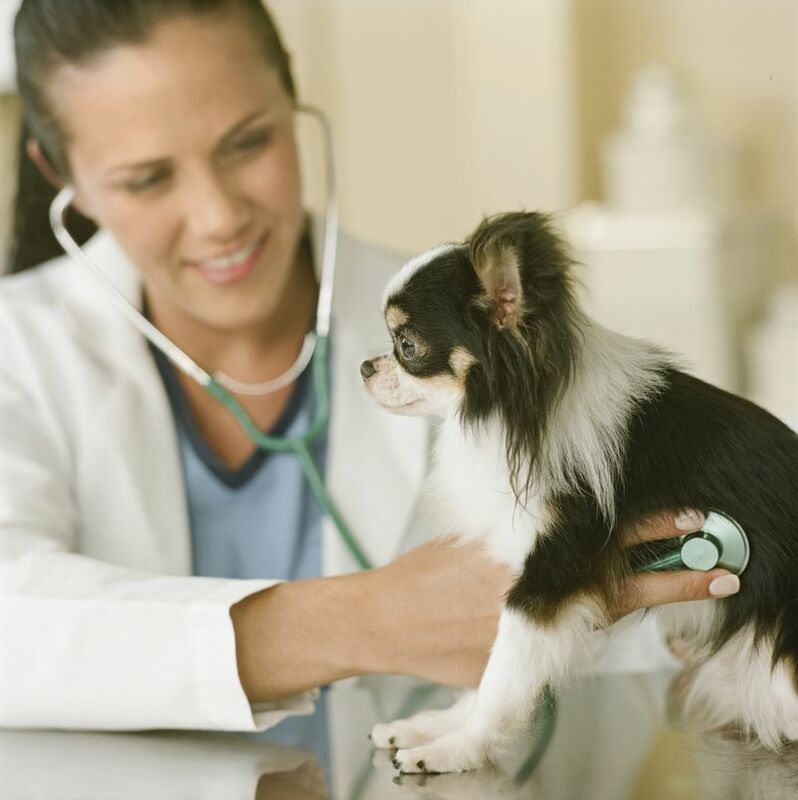 The vet will probably want to rule out heartworms, and in addition to the usual blood and urine tests, may order chest X-ray, especially if your dog is coughing a lot, and an ultrasound scan. If these show any abnormalities around the heart, your vet may order an electrocardiogram test, or EKG. This measures whether your dog's heart rhythm is normal. The best way to treat a canine heart attack is to reduce its risk factors: Make sure it doesn't get overweight and make frequent visits to the vet to treat any ongoing health conditions.